Welcome to "Fog Town Holler," Pulitzer Prize finalist Maurice Manning's glorious rendering of a landscape not unlike his native Kentucky. Conjuring this mythical place from his own roots and memories -- not unlike E. A. Robinson's Tilbury Town or Faulkner's Yoknapatawpha County -- Manning celebrates and echoes the voices and lives of his beloved hill people. In Fog Town Holler men have "funny names," like Tiny Too and Eula Loom. A fox is known as Redleg Johnny. A neighbor issues a complaint against an early-rising rooster; another lives in the chicken coop. "Lawse," a woman exclaims, "the sun can't hardly find this place " But they feel the Lord watching, always, as the green water of Shoestring Branch winds its way through hillbilly haunts and memories. 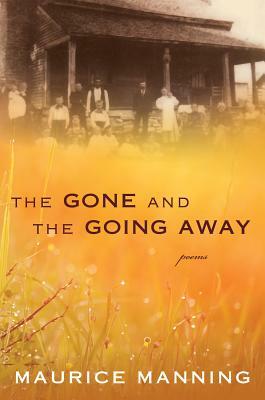 The real world no longer resembles the one brought so vividly to life in the poems in these pages, but through his meditations on his boyhood home, Manning is able to recapture what was lost and still, yet, move beyond it. He brings light to this place the sun can't find and brings a lost world beautifully, magically, once again into our present.